Although gender-based discrimination and harassment is a particular problem, virtually every demographic divide creates workplace discomfort. Stunningly, more than half of women have experienced sexual harassment at work, nearly two-thirds of whom didn’t dare to report it. Almost as many LGBTQ people, at 46 percent, are closeted at work; fear of being stereotyped topped their list of reasons for not revealing their sexual identity. 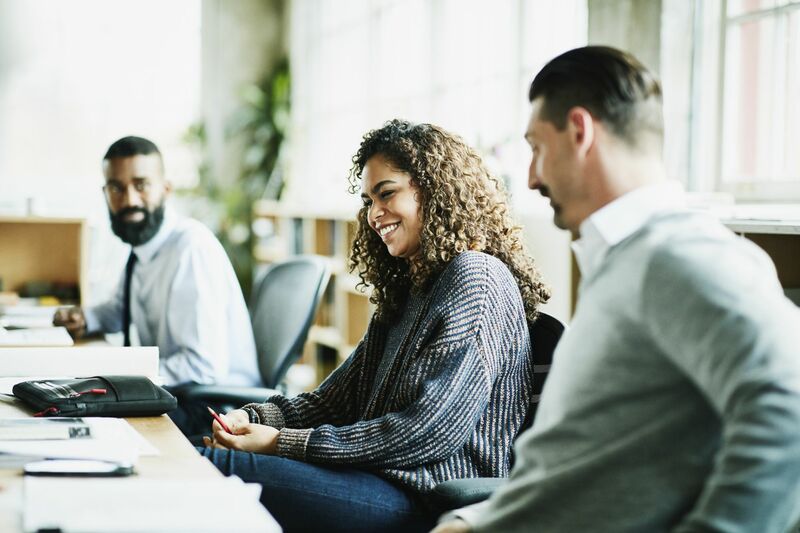 If rates of racial discrimination are any guide, perhaps they’ve made the right choice: A similar 48 percent of African-Americans say they’ve experienced workplace discrimination, as well as 36 percent of Hispanics. I could go on, but discrimination is sadly just one part of the story. I’m interested not just in alleviating discomfort, but in going a step further: How do we create workplaces where everyone — people of all ages, races, genders, religions and political affiliations — truly feel welcome? That, I’m afraid, is a much more difficult question. 1. Run toward discomfort rather than from it. Diversity may be difficult to talk about, but nothing will change without openness and communication. Frankly, company leaders haven’t done a good job of fostering either: The Center for Talent Innovation’s “Vaulting the Color Bar” report found that 45 percent of East Asians, as well as 35 percent of African-Americans and Hispanics, feel they “need to compromise their authenticity” to fit in at work. A LSE article about it pointed out that female African-Americans, in particular, struggle to discuss the problem assertively without raising the “angry black” stereotype. 2. Describe the business case for diversity. Culture comes from the top, but too many workers think their leaders merely pay lip service to diversity. The reason is that diversity programs are long-term plays: They might make the company more equitable in the long term, but they don’t solve the here-and-now problem of workers who don’t feel welcome. So what can you say to convince them you actually care? Explain to team members that you have a horse in this race: Companies with more diverse management teams than average report 19 percent higher revenues, thanks to increased innovation, than their peers. Firms in the top quartile for racial and ethnic diversity are 35 percent more likely to post financial returns greater than their national industry medians, while those in the same range for gender diversity are 15 percent more likely to do so. 3. Set up an anonymous tip system. Despite your best efforts to open the conversation, some workers will be more willing to speak up than others. Particularly for skittish team members, use an anonymous reporting system to understand how they feel and what might make them more comfortable. Make clear that the system should also be used for shoutouts: Someone might not feel comfortable directly complimenting a white worker for warming up to his Hispanic colleagues, for instance, but they can still promote the behavior by sharing it with you. How, exactly, should such a system work? Take your cue from media groups, which use encrypted tools like SecureDrop to protect the identity of those who submit leaked documents. When you receive a tip, take action quickly. Bring complaints to your HR team to determine next steps for each allegation, and share compliments via email. Something as simple as, “A team member noticed Tom pays attention to his pronouns when speaking about transgendered individuals,” can reinforce Tom’s actions while encouraging others to follow his lead. Believe it or not, diversity trainings often trigger backlashagainst the very groups they’re trying to include. Rather than try to force diversity on yourself or your team, simply expose yourself to positive examples of the group in question. If an Implicit Association Test finds that you’re threatened by African-Americans, for instance, then spend time with members of that group in low-pressure settings. If employees aren’t doing so by choice, you might need to nudge them toward exposure. Mentorship is a great place to start. Not only can pairing mentors from different backgrounds help traditionally disadvantaged groups gain leadership roles, but it helps both parties better understand how others perceive them. U.S. Army officer Richard Farnell explained that he helped a captain who couldn’t seem to get promoted understand that his communication skills, not his religion, were holding him back. Farnell’s mentee felt less persecuted for his religion, and he finally found a way up the leadership ladder. Race, religion and gender might feel like intractable issues, but they’re ultimately no different than other business problems. Committing to a strategy, setting up systems to execute it and tweaking your approach based on feedback is the same process leaders use in marketing, engineering and more. Yes, diversity challenges can create discomfort – but isn’t that all the more reason to solve them?